All formulas were near identical and of excellent quality, layering easily. 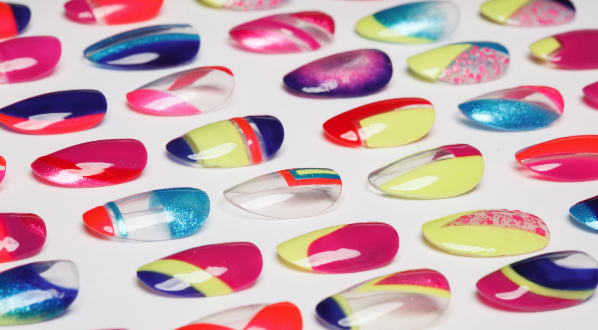 They are in a jelly - crelly base, so layering is necessary for opaqueness. All swatches are 3 coats (except the last, Christmas Evie, which is 2 coats) with Glisten and Glow HK Girl top coat. Superchic Lacquer Mammoth - The glistening icy slopes with hues of blue flash. Sigh. Love it!! Superchic Lacquer Ivysicle - Icicle formations off the winter vine. How very creative!! 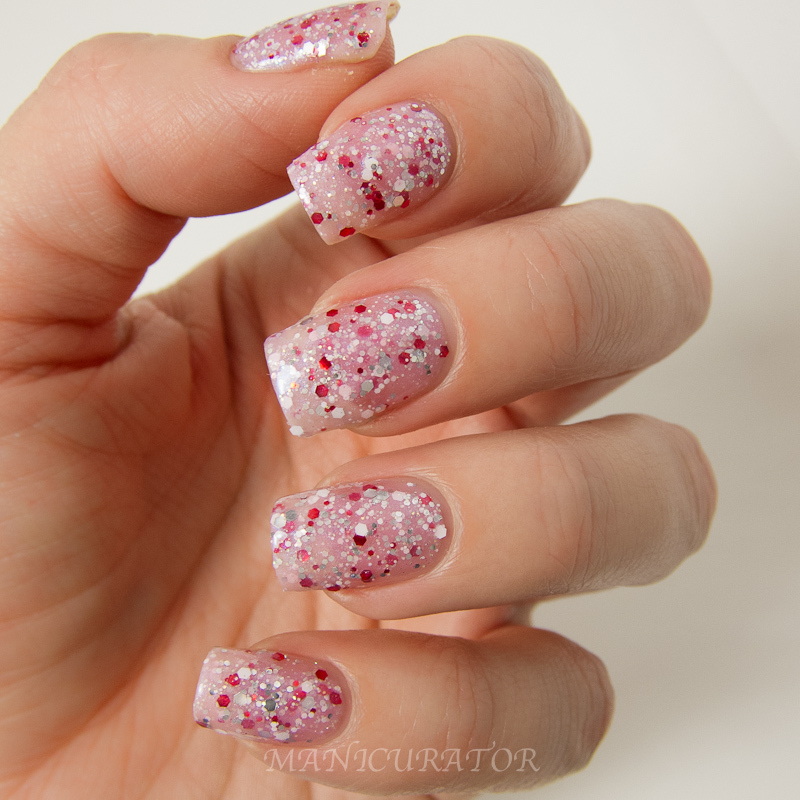 I've never seen a Winter polish quite like this one! 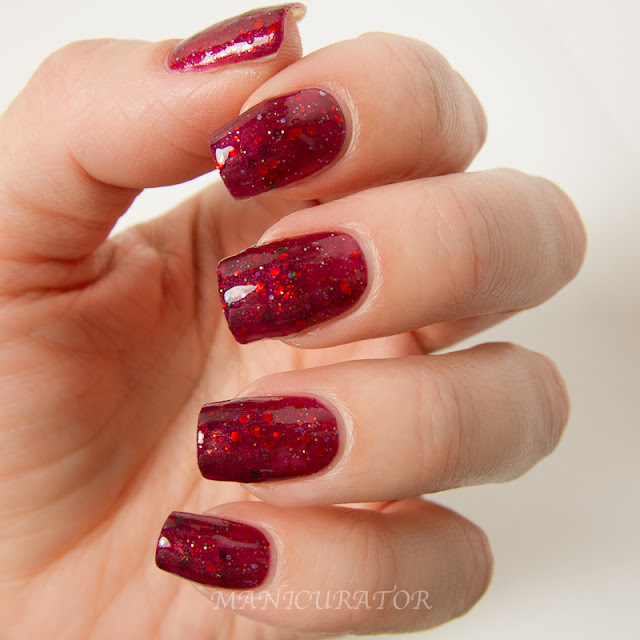 Superchic Lacquer Christmas Evie - a christmasy blend and a thermo color change phenomenon (I didn't capture that on camera). Inspired by the three faces of Evie. What do you think? Isn't it such a creative Winter/Holiday collection? Which one is your fave? My favourite is Mammoth :) The bottles are really cool too! WOW! All shades are perfect for me!!! Cool bottles! I love Christmas Evie! I've recently obtained an obsession with festive colors! Christmas Evie looks perfect for the festive season, love it! I think my favorite is Mammoth - such a gorgeous light color =) TFS! I love Ivysicle and Candycane Magique - both are look sort of pepperminty to me! But looking at Ivysicle, it's hard to believe that it's such a unique colour, because it's so beautiful! 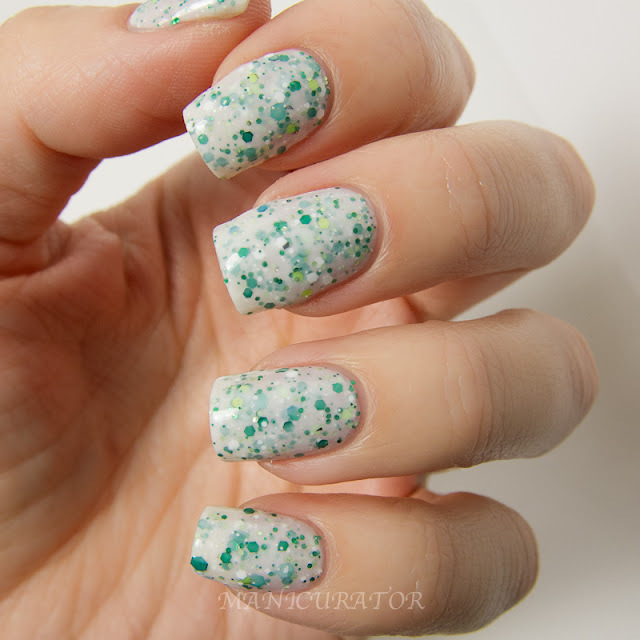 It's amazing that white with green glitter isn't a standard release in Christmas polish collections, but I really can't think of another polish like it. 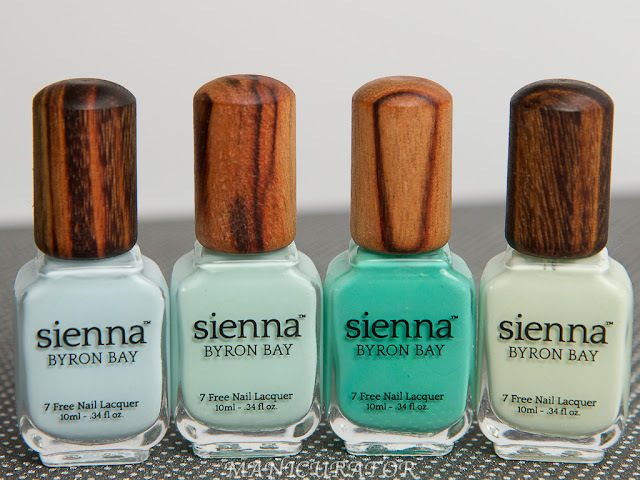 Gorgeous swatches!!! I've been looking at so many swatches of this collection, trying to choose just a few. But after seeing this post, I must get the entire collection. Thanks!